When it comes to setting up any new Digital Asset Management System, the procedures you'll need to follow will depend on the type of DAM Platform you are using, and the kind of DAM software you've chosen. But regardless of the type of system you opt for, there are several areas to think about for any new platform - and a few key steps to follow before you set up a new DAM system. The first step to take when you're setting up a DAM system is to focus on why you need one in the first place. Take stock of all your assets, and begin organising them so you know exactly what kind of assets you have (and how many). You'll also need to identify how you expect your assets to grow over time - as you'll want to make sure you have the right kind of storage to match demand. It's also worth considering which assets will need to be accessed on a regular basis and by who. This big picture will help you make decisions over how to use your DAM system, and will be key to choosing the best Digital Asset Management platform for your needs. As you're analysing your assets and planning out access needs, you should also be thinking about security. The implementation of your DAM system will depend on the kinds of authentication and security levels required for your organisation. Focus on how and where files will be stored, and how confidential information will be protected. This may affect your decision in choosing between a cloud or a hosted DAM system, which in turn will change how your DAM is set up. For a DAM system to function efficiently, you'll need to have a strong IT infrastructure supporting it, with the right servers and the appropriate storage in place. This is where cloud-based DAM can be invaluable, as you won't have to be dependent on your current IT set-up and the capabilities of any in-house staff. 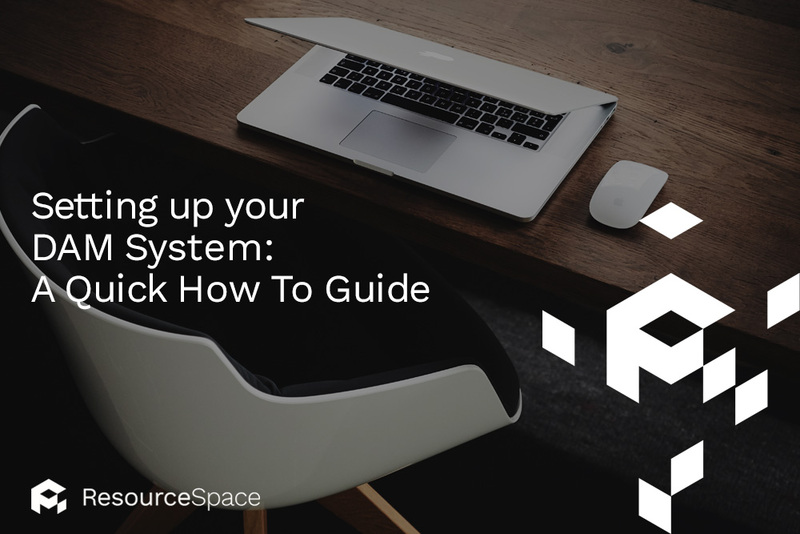 They won't need to worry about hosting or integrating into your existing processes, as the best DAM platforms like ResourceSpace will give you a variety of support and set-up options to suit your needs. In rare instances, you might need to host your DAM software locally. For those circumstances, you'll need to connect with your IT systems and ensure you have the appropriate storage facilities and a server set-up that delivers what you need. But by using open source DAM software like ResourceSpace, you'll have free, unlimited access to set everything up yourself - just download the files, install and away you go. The beauty of a DAM system is that it's completely flexible and easy to change metadata structures - but it always helps to start with a top-level plan of how your assets will be organised. Speak with the key stakeholders who will be interacting with and using your DAM software on a daily basis, and plan out structures that will work for you - making it easy to access those most commonly used folders. Metadata structure can always be altered, but having a general plan in place will pay dividends in the long run. There are so many different benefits and features of Digital Asset Management, but for some functions to work effectively, you need to set them up properly and use them correctly. In some cases, you only get out what you put it, so it's absolutely vital you take the time to explain to staff how your DAM system works and teach them about all the features. Examples include naming conventions, inputting metadata and creating categories or attributes that will be most beneficial. A good system like ResourceSpace will have options for on-boarding and training sessions for your team, to ensure they get the most from their Digital Asset Management. Finally, be sure to take advantage of a free trial for any DAM system, to check it's right for you! Start a free trial with ResourceSpace today, or if you'd like to find out more about how we can help you set up your DAM system, just chat with one of our team.